Hall & Bolles, P.C., in Mount Pleasant, Michigan, has established a reputation as a knowledgeable, versatile and respected law firm serving the needs of individual and business clients in Central Michigan. Our attorneys — Thomas W. Hall Jr., and Becky J. Bolles — have more than 70 years of combined professional, general practice experience in primary practice areas including family law, criminal law, commercial litigation and estate planning. Further, we represent clients in the Mid-Michigan area in matters of probate law, trust administration and trust litigation in estate-related disputes, as well as business law, guardianships, conservatorships and adoptions. We believe strongly that our clients deserve strong legal representation that features empathy and integrity toward their needs. Our mission is to solve our clients' problems and resolve their issues. We do everything in our power to ensure this happens. Thomas W. Hall Jr. is an AV-rated* lawyer who has spent his career assisting businesses, individuals and families in matters including commercial litigation, disputes related to estates, and family law issues. He is versed in various aspects of business law, including the creation of business entities and representing clients who need to collect on debts or enforce contracts. Becky J. Bolles specializes in adoption, particularly in-family, direct placement and adoptions compliant with Indian tribal law. Further, she assists clients in establishing legally sound guardianships and conservatorships and personalized estate plans. 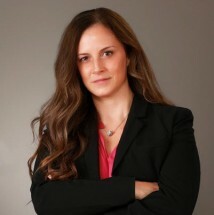 Like the other attorneys of Hall, Lewis & Bolles, P.C., she has experience assisting business clients. If you are ready for a law firm that will respect you, your pocketbook and your legal needs, contact our Mid-Michigan attorneys today.